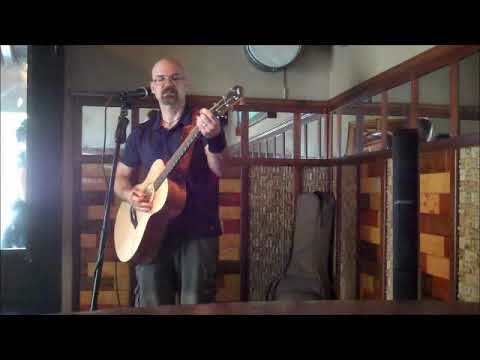 Chris brings his energetic acoustic style to Rock and Pop cover songs from Bands such as: Bon Jovi, Bryan Adams, Daughtry, Billy Joel, John Mellencamp, Neil Diamond, James Taylor, REO, The Eagles, Tom Petty, Train, Green Day, U2, Lonestar and others. Chris can adjust his set list to be appropriate for your event. Available for corporate events, weddings, receptions, banquets, cocktail hours, parties, and other events. Chris was just Fabulous! We would highly recommend his talent for any event!! Thanks for booking me! It was great meeting you and your new husband. I enjoyed it! 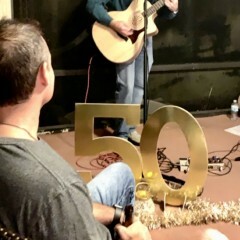 I had Chris come sing for my husband’s 40th Birthday party. He was excellent! Will definitely be using him again for future parties! Thanks for the great review! I'd be honored to perform at your future events. 5 star review all the way for Chris!!!!! Chris did an amazing job at our party. We loved all the songs he played for 3 hours and definitely will hire him again to play. 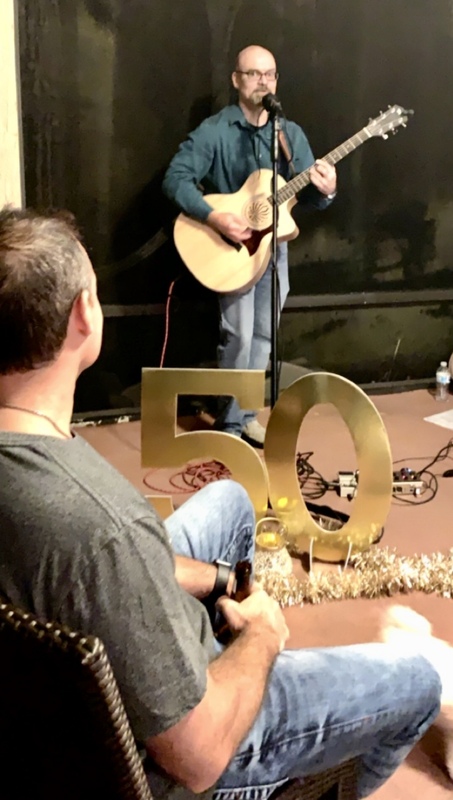 Everyone loved his music, from 5-70 years old, at our surprise 50th Birthday party at our home. Chris made the party with his music and I am so glad that we had him play. Thanks for booking me and for the great review. I enjoyed playing for your family and friends, and look forward to your next event! Chris entertained at our Christmas party and he was fantastic!!! 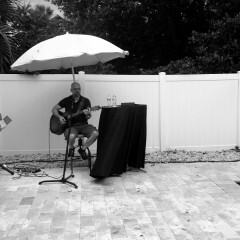 He has a great variety of music and was very accommodating with requests. His fee is the most reasonable I’ve ever seen!!! If you’re looking for a great entertainer, look no further. He’s very talented and I highly recommend him!!! Thanks for having me at your party, and for the great review! Thanks for booking me, and for the great review! I had a lot of fun performing, and I'm glad your guests enjoyed it. The hit of the party! We booked Chris for my nephews 16th birthday. He was the perfect addition to create a fun vibe for our party not to mention how professional easy going he was with all the rowdy boys! His set was amazing! He is very talented and enjoyable to listen to I am still getting calls this morning about how good he was yesterday. I will definitely be using Chris in the future! Thanks so much for having me at the party, and for the wonderful review! I enjoyed playing, and I hope it was rowdy enough for your boys to enjoy. 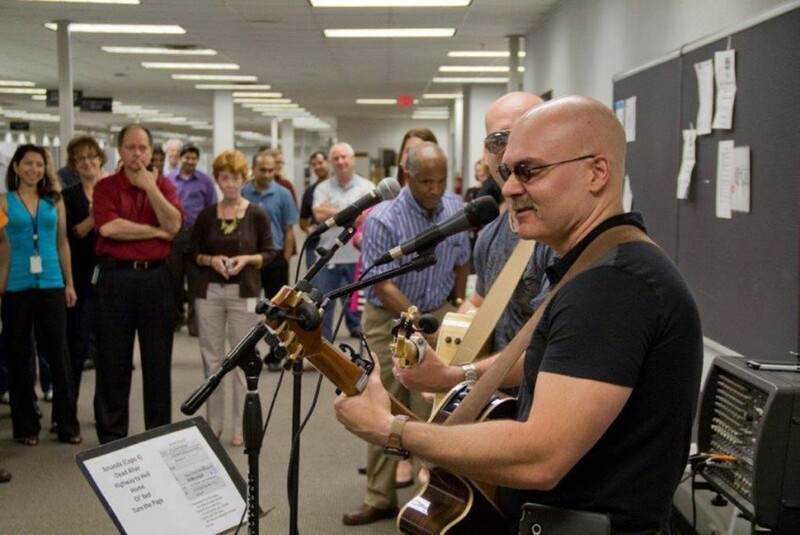 I had a upscale corporate event that I booked Chris Jobinski for 4 to 5 hours. He was absolute amazing & very professional. I will keep him in mind for all of my future events. It was my pleasure to perform for your guests. Thanks so much for having me! Chris did a great job! He was early to the venue, brought all his own stuff, played lots of crowd favorites, and stayed longer than he was asked to. Great fun! Thanks for having me perform at your event, and for the great review. It was a pleasure to meet you and perform for your customers, and other patrons. Chris did a fantastic job, we really enjoyed his performance. He has a very good selection of songs from 80’s, 90’s and more. He went the extra-mile by playing more that he was charging us for. Chris played for a corporate event that my company hosted. He was the perfect man for the job. People were able to mingle but still enjoy his music in the background. Everyone kept asking me where I found him and he was even called "the deal of the night" because his cost was very reasonable for such a talented musician. I heard many people saying they were consider him for their own events in the future. Great job Chris! I'm sure I'll be seeing you in the future. Thanks, Peggy. It was my pleasure to meet your team and perform for your event! Chris is punctual, professional, offers a diverse song list, accepts requests, is flexible with volume levels and is an overall pleasant personality. Chris was fantastic! He went above and beyond to help make our weekend special. He learned a specific song for the bride to walk down the aisle to and it sounded like he had played it forever. In fact, he even saved our wedding reception! 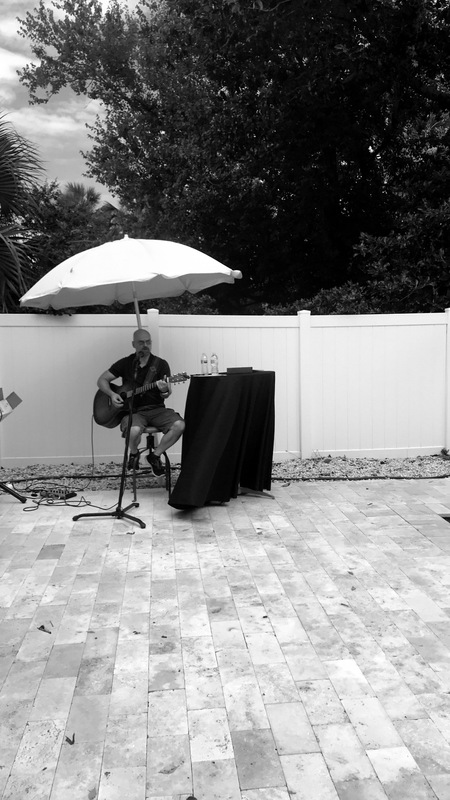 We were planning to use a sound system at our reception site, but there was a miscommunication and it wasn't there- in the moment, Chris offered to let us rent his speaker so we could have music for our guests to enjoy once he was done playing. We can't thank him enough for saving our reception! We would recommend him 100%! Thank you so much, Matt, for the wonderful review. It was an honor to be a part of your special day. 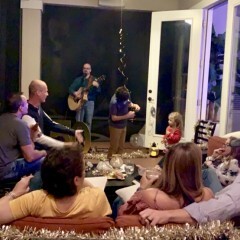 Chris did an awesome job playing solo guitar and singing for our party of 60+ guests for approximately 4-hours. Chris played a wide variety of music touching on most everyone’s liking and also played some special requests. Several people made it a point to tell me how much they enjoyed listening to Chris play. We would definitely contact Chris again for our next party, he did a really nice job and we were very pleased. I had a fantastic time performing for a great group of people. Thanks so much for the review. Chris played for our Labor Day Event at St. Johns Golf and Country Club. He was amazing and I had many of our residents ask for his information to hire him for personal events. He sounded great and played music for all to enjoy! We look forward to inviting him back! Chris @ The Pig Bar-B-Q! Chris does an excellent job at multiple locations for The Pig Bar-B-Q. He is an awesome entertainer that performs high quality music for us! 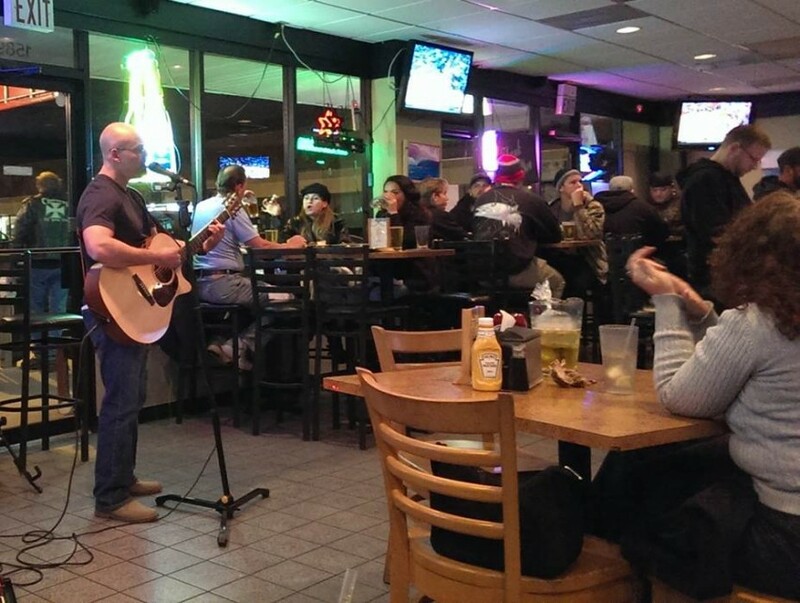 Customers love music nights at The Pig when Chris is performing. 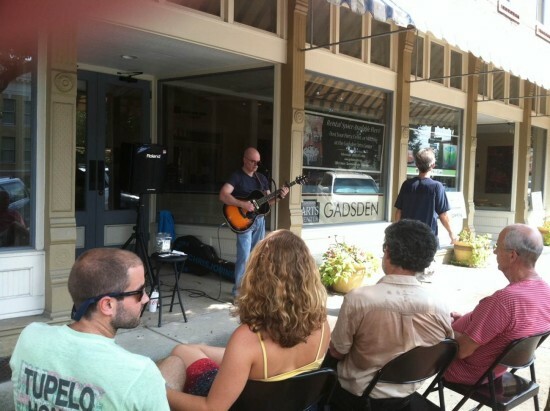 Chris performed for the 2013 Quincy Porchfest and did a great job. He has a great voice, great stage presence, and is a true professional. He would be an asset to your club, festival, or event. Chris rocks! 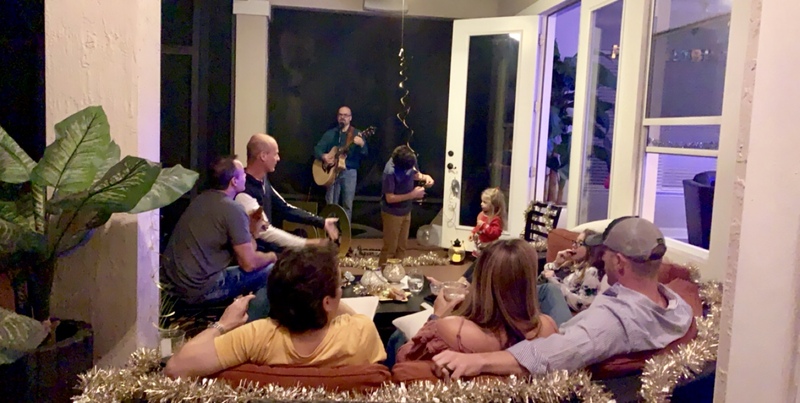 When I perform, your guests will be able to comfortably carry on a conversation while hearing their favorite songs in the background. 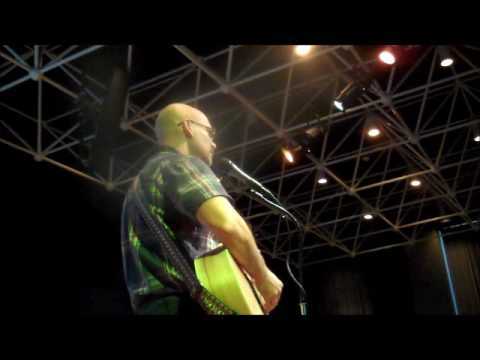 I perform as a solo act on Acoustic Guitar and Vocals. It is simple, clean, and my songs are well rehearsed. I currently do not using backing tracks to accompany my performance. I love to perform, and it shows when I am on the stage. I am fully self contained when I perform at your event. All you have to do is tell me where to set up. I require access to a power outlet within 40 feet of the performance space. I use high quality sound equipment from Bose and QSC. I can taylor the set list for your preferences depending on the type of event. I am constantly adding new songs to my list. Video samples are on this site.